The New York Times has recently published a series on “Small Fixes: Low-cost innovations that can save thousands of lives.” The series highlights small, low cost solutions to public health problems that are can be overlooked in favor of flashy, expensive solutions. 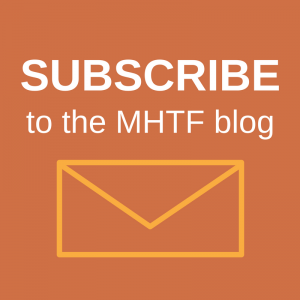 Some of the maternal health specific, low cost solutions highlighted in the New York Times, include the LifeWrap and safe birth kits, both of which been discussed before on the MHTF blog. In fact, one of the Young Champions of Maternal Health, Zubaida Bai, has invented an improved version of the clean birth kit which is produced by local women. Many of these small fixes are successful in the field because they use cheap, uncomplicated, locally available items in new ways to address a health issue. Of course, a reoccurring challenge is that even if there is a small fix that could make a big difference, getting this solution to the people it would serve is still a major challenge. Even beyond the simple logistics of getting the small fix into the world, dropping it into a community without the support of training and education can frustrate the best intentions to improve public health. After all, it’s hard to see everyday items in new ways. The New York Times article points to women who were trained to fold saris four times to filter out pathogens from water, yet eventually only 26% of the original women who received the training were still using the sari filtration system. 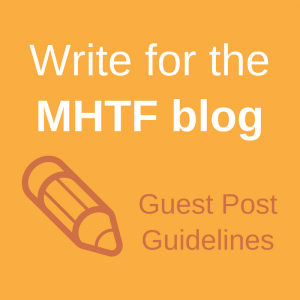 Despite these challenges, the MHTF supports a number of projects looking at maternal health in new ways, often using available resources to innovate solutions to maternal health challenges. Jacaranda Health relies on their local customers in Nairobi to provide feedback so Jacaranda can tailor their maternal health services to a local market. They have solicited feedback from their customer base on everything from marketing to pricing services. By using this small fix of utilizing their local customers as a resource, Jacaranda Health has ensured that their services are responding directly to the women who need their health care services, which will hopefully increase the uptake of maternal healthcare. The MHTF is also supporting a number of mHealth projects, many of which are using cell phones as a small fix that have the potential for big impacts on maternal health. mothers2mothers is using cell phones to increase the uptake and adherence to protocols that can prevent mother to child transmission of HIV services. Medic Mobile is working on a number of mobile health tools including HealthChat, a SIM application supports supply chain monitoring, PatientView a patient records system and Medic Dashboard that can aggregate and visualize large quantities of data. A cell phone, now widely available can provide potentially lifesaving support for mothers. Once these small fixes are integrated into communities, I look forward to seeing an evidence base built around them, so small fixes with big payoffs can be utilized worldwide in public health.